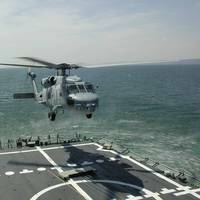 Kongsberg Digital has been selected to deliver and support a suite of sophisticated K-Sim Navigation ready ship’s bridge simulators for the Royal Austalian Navy. 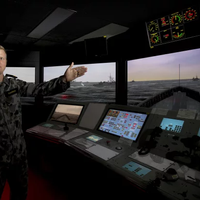 The contract will enable the Royal Australian to significantly increase its training capacity and reduce costs associated with qualifying bridge watch keepers and other staff before going to sea.The simulators will be delivered for installation in a new training facility at HMAS Stirling in Perth starting May 2019, with existing bridge simulators at HMAS Watson in Sydney being upgraded from December 2018. Saab announced it has signed a A$24.2 million (US$18.5 million) contract with ASC for supply of an updated Integrated Ship Control Management and Monitoring System (ISCMMS) for four Royal Australian Navy Collins class submarines. ISCMMS provides maneuvering and fully integrated ship management of propulsion, trim, power generation and ship services. 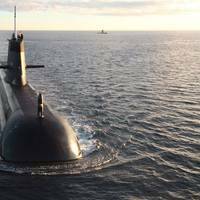 Deliverables under the contract include updated hardware and spares that addresses obsolescence issues and maintains regional superiority edge for the Australian submarines. 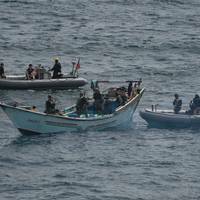 Australian and New Zealand joint forces have seized 915 kilograms of heroin, valued in excess of $274 million, in a counter-narcotics operation in the Western Indian Ocean. 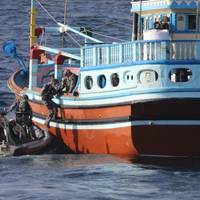 HMAS Warramunga’s crew has conducted one of the largest drug seizures in Operation MANITOU’s history as part of the Australian-led Combined Task Force 150. 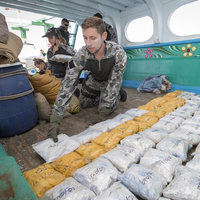 In a joint counter-narcotics operation, the Royal Australian Navy and the New Zealand Defence Force seized 915 kilograms of heroin valued in excess of AUD$274 million. The Royal Australian Navy operated Sail Training Ship Young Endeavour celebrated 30 years of challenging and inspiring young Australians at Fleet Base East on Thursday, January 25, 2018. The day marked exactly 30 years since the Prince and Princess of Wales oversaw the Union Flag and Merchant Naval Red Ensign being replaced by the Australian National Flag and the RAN White Ensign, signifying the ship’s presentation by the United Kingdom to the people of Australia as a ‘living gift’ to mark Australia’s bicentenary. STS Young Endeavour is joining a race on every sailor’s bucket list, the Rolex Sydney to Hobart Yacht Race. While the 44 metre brigantine won’t be chasing line honours, she will play an important support role acting as the standby radio relay ship. Lieutenant Commander Mike Gough, Commanding Officer Young Endeavour said the southern ocean could throw up many perils, so the role of the Royal Australian Navy’s sail training ship was important. 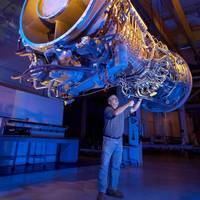 “The weather conditions on the southern ocean can be unpredictable and ships can get into trouble,” he said. Twelve former Commanding Officers have sailed onboard Royal Australian Navy frigate, HMAS Darwin, today as she transited through Sydney Heads into her home port for the last time. Darwin was escorted through Sydney Heads by Navy’s newest ship HMAS Hobart for a traditional “cheer ship” as she passed the fleet before being welcomed alongside Garden Island by former sailors, officers and support staff. 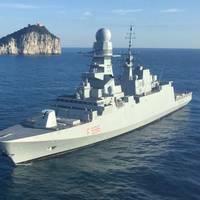 The Adelaide Class frigate is scheduled to be decommissioned at the end of the year to make way for the Navy’s new fleet of Hobart Class Guided Missile Destroyers. HMAS Newcastle has rounded out her busy six-month deployment to the Middle East, completing some ‘firsts’ and ‘lasts’ for Australian Navy ships in the region. 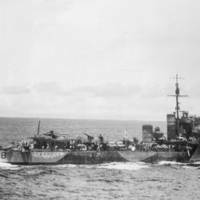 During her demanding deployment, she patrolled about 25,500 nautical miles or five times the distance around Australia. She conducted a range of Combined Maritime Forces operations, including an attachment in support of the USS Nimitz Carrier Strike Group, and trialled emerging naval capabilities. 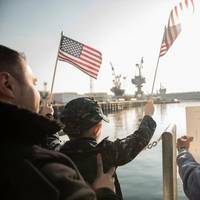 Commanding Officer, Commander Mark Sirois said the deployment included many highlights. 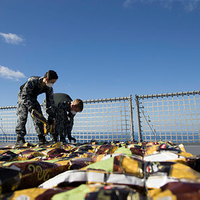 A 20-foot shipping container on the Mornington Peninsula, Victoria, helps the Australian Navy run one of the world’s few remaining shore-to-sea live firing training sites. Since 1959, West Head Gunnery Range which occupies an area of 16 hectares has provided the Royal Australian Navy with live gunnery training for close range and medium calibre shipborne weapon systems, navigation radar and miscellaneous communications and support equipment. One of the many systems used for safety during live firings and also training is the Electro-Optical Tracking System.